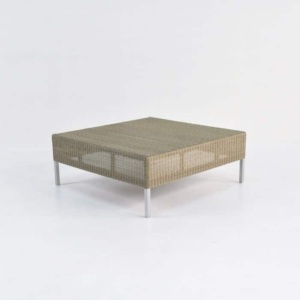 Enjoy the richness and the splendour of the Madison Wicker Outdoor Coffee Table in your home or garden! Part of the Madison Collection; a set exploring modern grandeur with sleek, clean lines and beautiful vibrant and elegant materials. The Madison Outdoor Coffee Table fits in wonderfully with its chic simplicity. 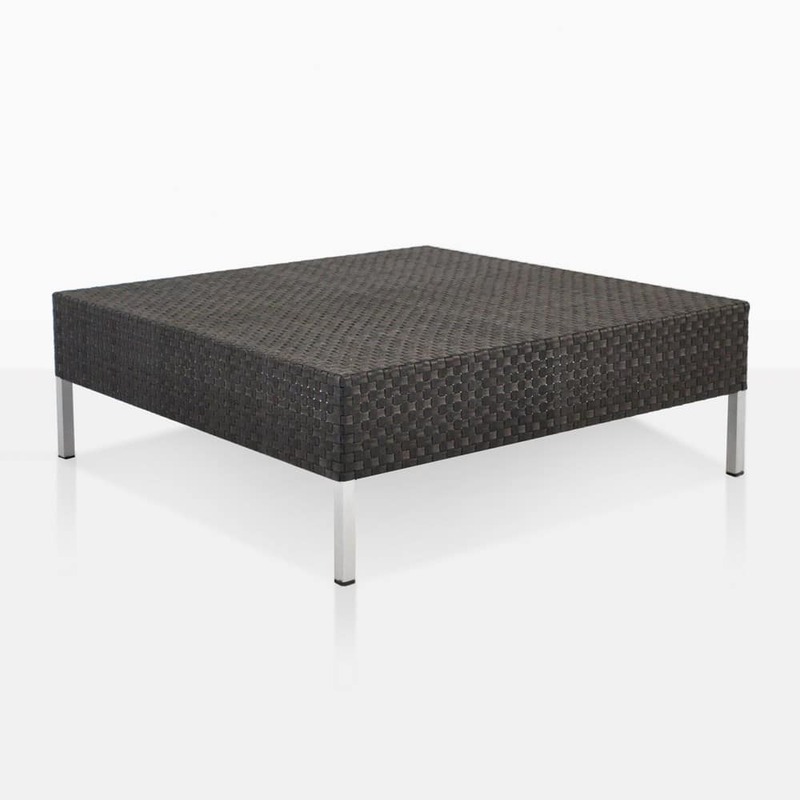 A perfect piece to complement the long sofa and chaise Madison Combo or as an individual statement. Whether outside or in, this piece is sure to make an impact. For something different; try the Madison Coffee Table in black in your entrance way for a swish area for your guests to leave their bags and coats. 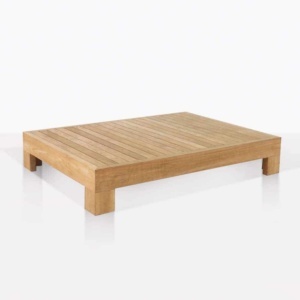 At 99 by 99 centimetres; the Madison Outdoor Coffee Table is a great service area for serving drinks and canapés. Constructed entirely out of all weather products, perfect for outside or for in the home. 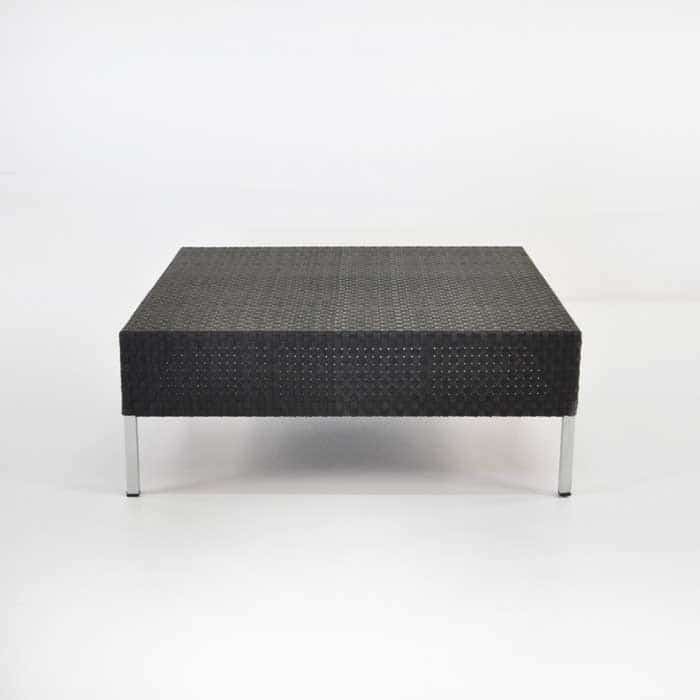 The materials used are a pretty powder-coated aluminium frame and covered in the incredible Viro® Wicker; through-dyed, hardy and environmentally friendly – this is a table that will serve you – literally – for many years to come. 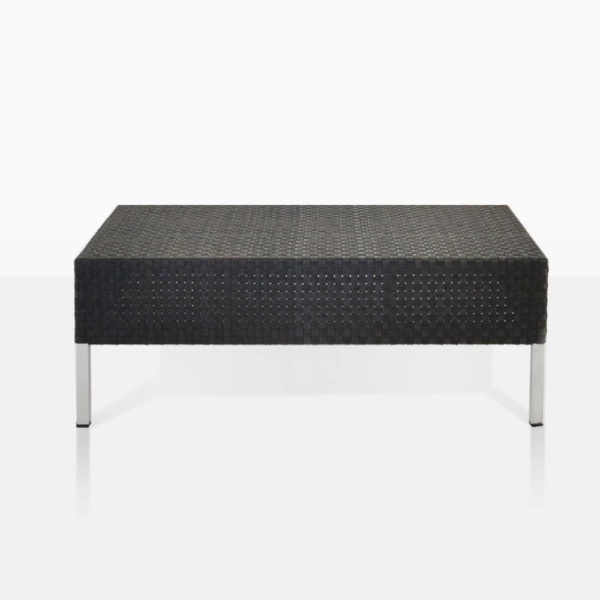 This outdoor coffee table is available in two great weaves of Viro® in two great shades, choose out of dainty Stonewash or in hardy Black.